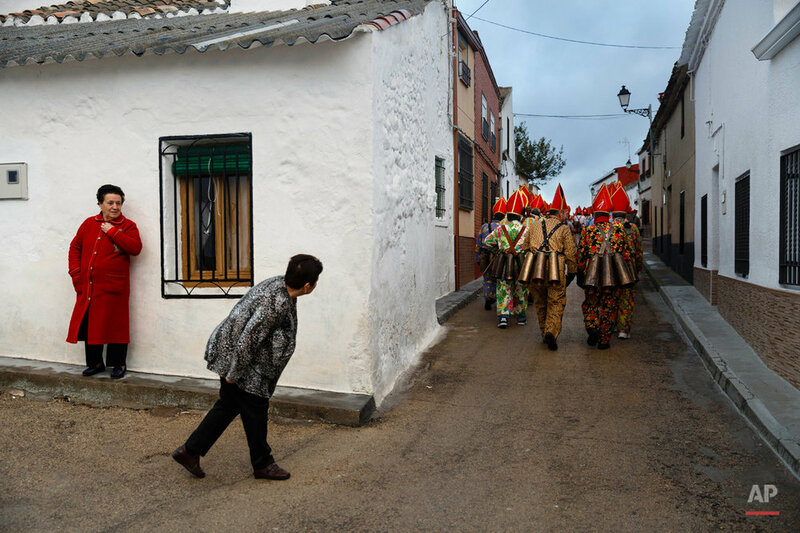 If you live in the central Spanish town of Almonacid del Marquesado, the devil you see may be the devil you know. 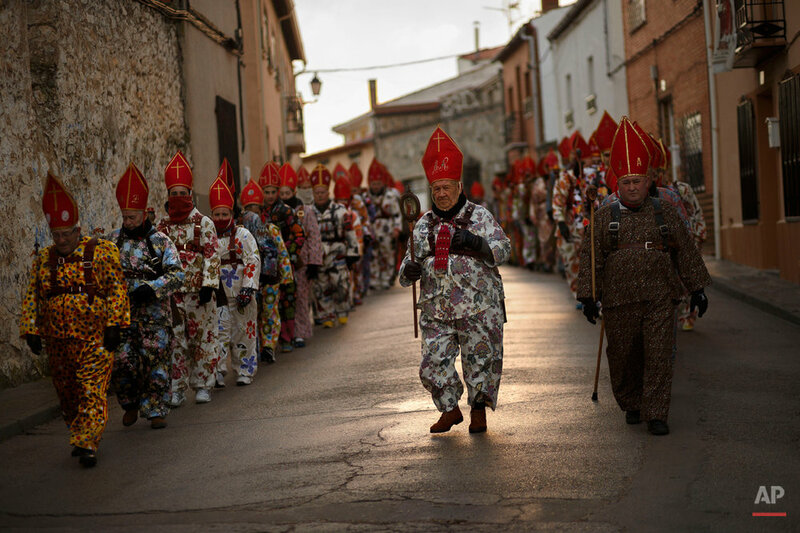 The town has celebrated the "Endiablada" (Brotherhood of the Devils) festivals each Feb. 2-3 since at least since medieval times. 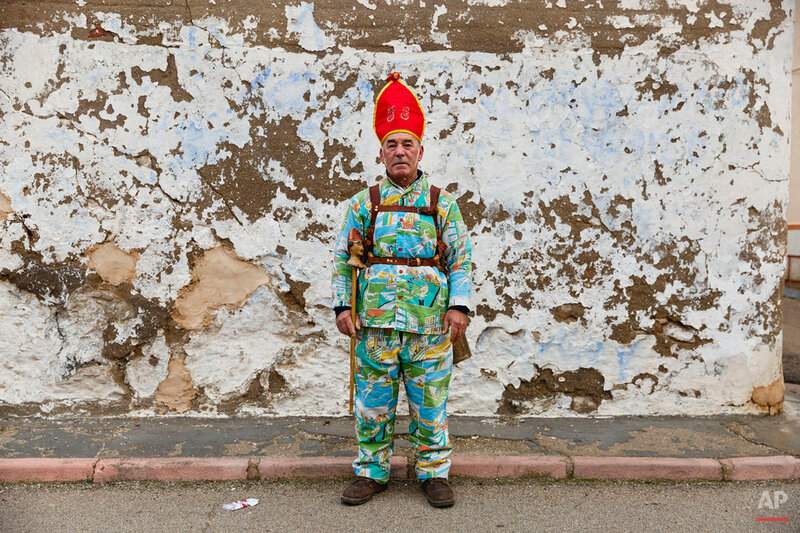 In it, men from the town dress up as devil-type characters in colorful jumpsuits and red miter hats. Donning large, heavy copper cowbells around their waists, which clang incessantly, they walk, dance and jump through the town's winding streets and visit the cemetery. The two holidays are celebrated in similar fashion although their origins are different. The Feb. 2 procession, the "Candelaria," represents the Virgin Mary presenting the baby Jesus to authorities in the temple 40 days after Christmas. The protocol is believed to have caused her some embarrassment and the accompanying bell-clanging characters are thought to be a way of diverting the public's attention. The Feb. 3 procession commemorates the day of Saint Blas. According to a local legend, town shepherds found a statue of the saint and then won a competition with a nearby town to keep the effigy, ringing the bells of their animals in celebration. Here's a gallery of images from this year's festivals by photographer Daniel Ochoa de Olza. 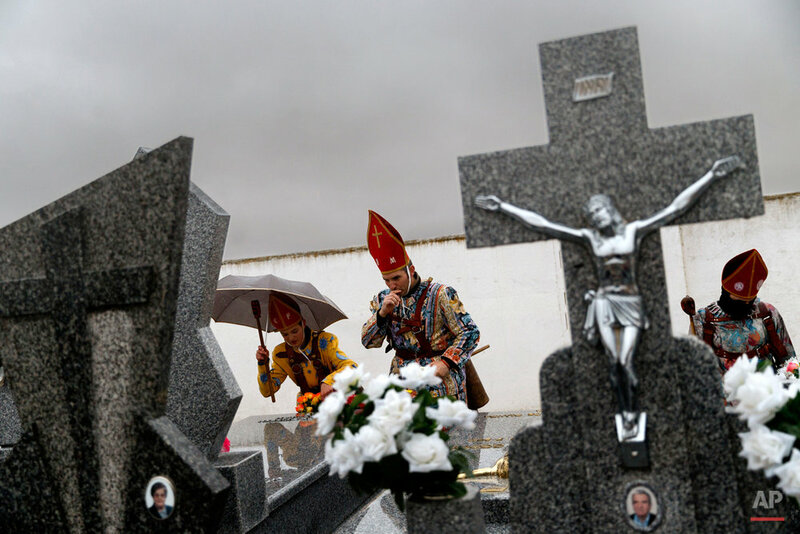 Text from the AP news story, AP PHOTOS: Spain celebrates twin festivals of the devils.